In 2018, cannabis has become a commercial powerhouse in the entrepreneurial world, as ten states and the District of Columbia all have legalized it for recreational use, thereby removing much of the weed’s long-time legal obstacles and enabling cannabis brands to launch everything from luxury-grade prerolled marijuana cones, to skincare and beauty creams, to edibles and at least one high-end (pun intended) rolling tool. Some of these products contain THC, the psychoactive constituent of marijuana that gets you high. Others contain cannabidiol (CBD) oil, which contains no THC but is touted for its pain- and stress-relief qualities. CBDs may well soon be legal everywhere, because the new 2018 Farm Bill seeks to legalize the cultivation of hemp nationwide. Some cannabis products come from the marijuana plant; some come from a variety of Cannabis sativa: hemp. Whatever the source of the products you’re buying and their legal status where you live — which you should check — cannabis products are being marketed not only for the nontraditional products listed above but also for clothing, shoes, even — would you believe — building products and auto parts. The common denominator to all these new commercial uses is the fading of cannabis’s "stoner" stigma: Marijuana is no longer something to be consumed in the shadows. It may even be becoming, dare it be said? fashionable. Mistletoke, from Zoma Cannabis.com, offers both a cannabis and a philanthropic twist. This (very) limited edition item intertwines boughs of mistletoe with three trimmed stems of (smokable) Zoma Envirocann organic cannabis. It’s available, free, to the first 50 Los Angeles residents who contact info@zomacannabis.com. No purchase is necessary but customers are invited to donate to One Tree Planted, a charity dedicated to reforestation after the California widefires. Zoma Cannabis will match those donations. Recommended by the creators of "The Marijuana Show"
The Marijuana Show, on Amazon Prime, has been dubbed "The ‘Shark Tank’ of Cannabis" and is headed by the dynamic duo of entrepreneurs Karen Paull and Wendy Robbins. "We receive thousands of auditions a year and typically have only ten [cannabis entrepreneurs] appear each season," Paull explained by email. "So, by the time we film, we are already a fan of the cast members, their companies and/or their products." The Club Hemp Power Pack: Paull calls this a "first aid kit for superheroes." 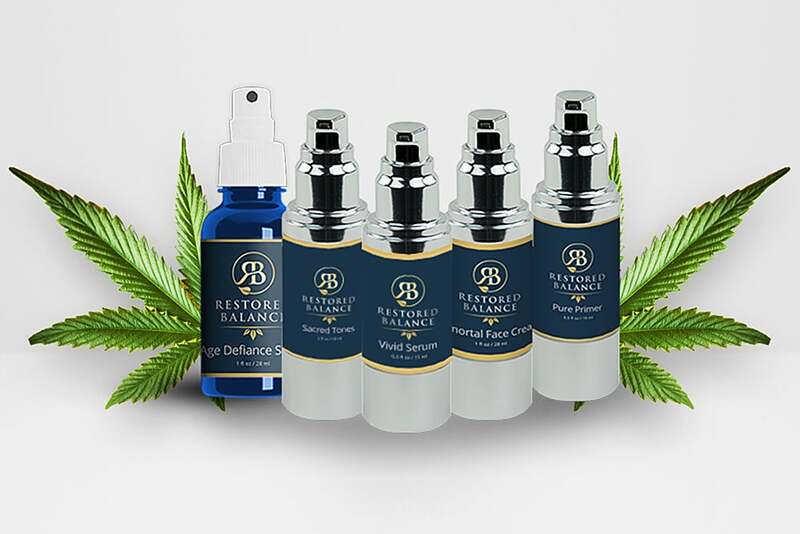 The pack contains CBD oil-infused drops to put into your favorite beverage to boost energy and focus and a pain remedy. "Chill" helps you relax and sleep better. "Power" is an anti-pain spray for external maladies. "Energy" is an energy booster and substitute for coffee. $69.95, offered for the holidays at $49.95. Restored Balance Spa Package. Five products in this skincare system cleanse, tone and moisturize while delivering collagen and micronutrients to your skin. Price, regularly $249.95, on sale at $199. Annabís handbags: "The first ‘high fashion’ for women that we had seen," Paull quips about these bags. What makes them relevant to this list is that their secret pockets use something called Aroma-Block technology to cover up the cannabis odor their owners may be carrying. Prices, $35 to $245, depending on the bag chosen. My Bud Vase offers beautiful designer flower vases designed by the artist Doreen Sullivan. The vases double as "hide in plain sight" bongs. Prices, $60 to $269. Stonedware Co., out of Portland, offers beautiful porcelain pipes finished with a food-safe glaze (some with 22K gold trim); ergonomically designed for ease of use. Prices, $55 to $170. Papa & Barkley make whole-plant, terpene-rich topicals that can be used for all sorts of beauty, self-care and pain relief. Deck your halls with boughs of balm. $80. Dr. Kerklaan Therapeutics is offering a holiday gift bundle containing a natural skin cream, a cream to counter PMS, an overall skin cream and an anti-pain cream. Regular price, $263. Holiday price, $199. 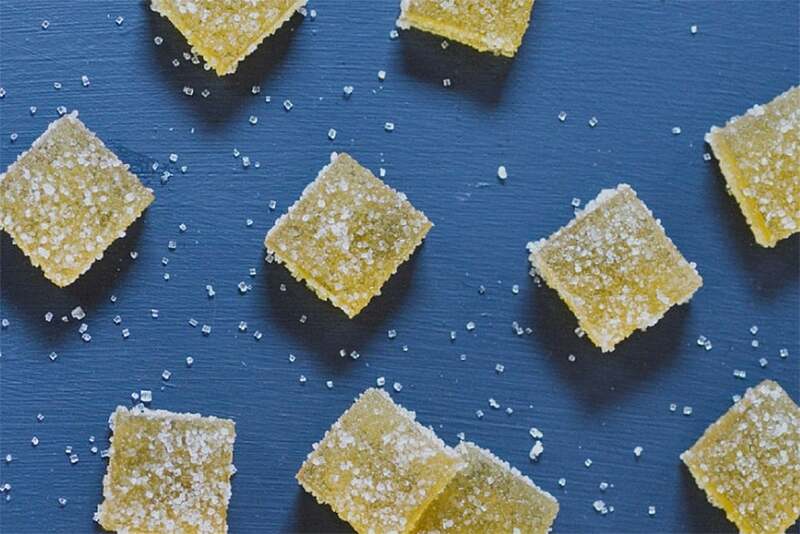 Azuca offers CBD-infused edibles. One product category is its simple syrups, suitable for coffee, tea and cocktails, available in different size bottles, $10.95 to $113.85 (on sale for the holidays at $75.90), and sold online. Sold at the Boston dispensary Mayflower are goodies like Azuca’s shortbread cockies, $30 a container; chocolate "coins," $30 a container; Azuca’s version of Pâte de Fruit candies, $25 a container; and infused sugar for baking, $60 a container. La Vida Verde offers cookies, made with coconut nectar, lemon zest and Himalayan crystal salt. Cookies, $20 (Tinctures also sold, $35 to $40). OTTO, by Banana Bros, is an AI-powered "smart grinder and cone-maker; if you choose it, it’s probably one of the more unusual stocking stuffers out there. 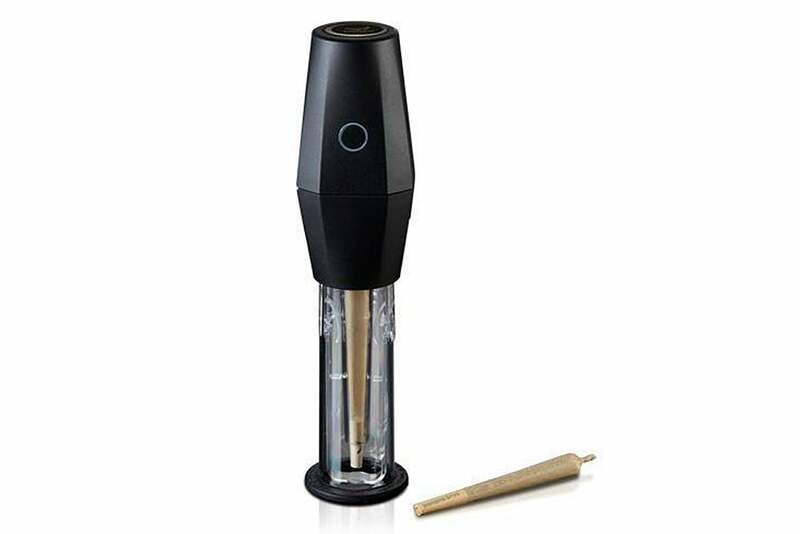 This grinder uses proprietary artificial intellgence to automatically grind weed and fill a pre-rolled premium cone (a fancier kind of joint, for smoking). $129.99. Jane West Beaker, designed by glass producer GRAV labs, is striking to look at as well as functional; it makes for an attractive alternative to the traditional tabletop water pipe. The beaker is made from hand-finished borosilicate glass and is available in the colors cobalt blue, cloud white and mint green. Available here. Price, $225. State Flower: offers prerolls and flowers, sold in California dispensaries. Prices not listed. Zoma cannabis: offers prerolls, sold in California dispensaries only. A box of six, $45. Higgs: offers cannabis prerolls, sold only at 11 California dispensaries. Prices not listed. Eden Extracts offers cartridges and batteries for vaping, sold at Garden of Eden in Hayward, Calif. and various other California retailers. Prices not listed.